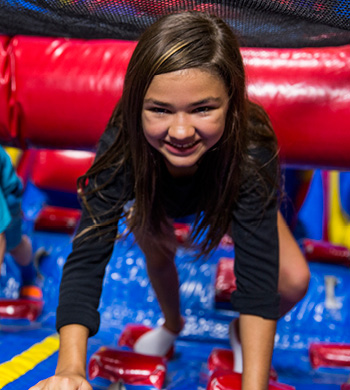 Plan your next Field Trip to Pump It Up and the kids will have a great time playing on our gigantic inflatable bounce houses, slides, obstacle courses and more in our indoor climate controlled arenas. We have options available for all size groups. Call us at (856)797-9663 to learn more. Pump It Up has created a unique and proprietary Health & Exercise program geared towards Girl Scouts, Brownies, Juniors, Cadets, Boy Scouts, Cub Scouts and any other organization looking to learn about fitness, healthy eating and of course have lots of fun. 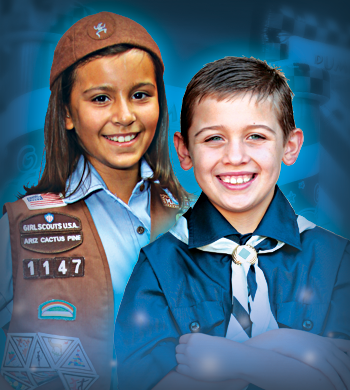 Our Troop & Scout program is designed to meet the NEW badge requirements for specific earned awards. Price is $11.95/child and includes 2 slices of pizza, a drink, a Pump It Up troop patch and an educational handbook. Private troop events require a 15 child minimum and is available Monday - Thursday. $11.95/child Must Register in ADVANCE! Pump It Up can do it all for you with our eHosting service. All you have to do is "get the word out"! 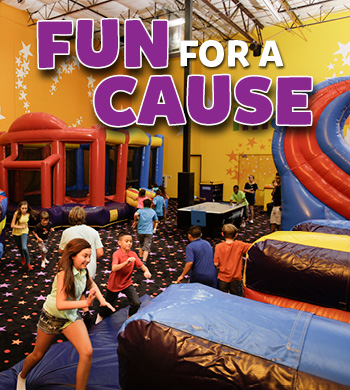 Ask about our themed fundraisers and Jump-n-Jam Fundraisers for middle school! We can plan it all for you with our eHosting service. Fundraisers can be specialized to fit your needs. Have a group of kids with different age ranges? Looking for a fun night out where everyone will have a great time? 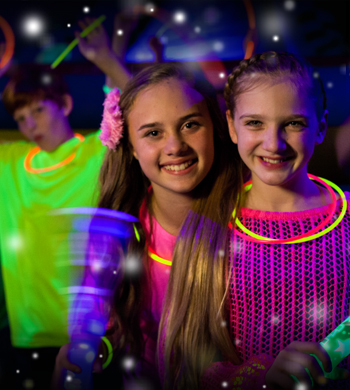 Plan your next youth group night at Pump It Up. We can customize a night out for your group that is guaranteed to be fun for everyone! Ask about adding our Glow package and karaoke to any event!